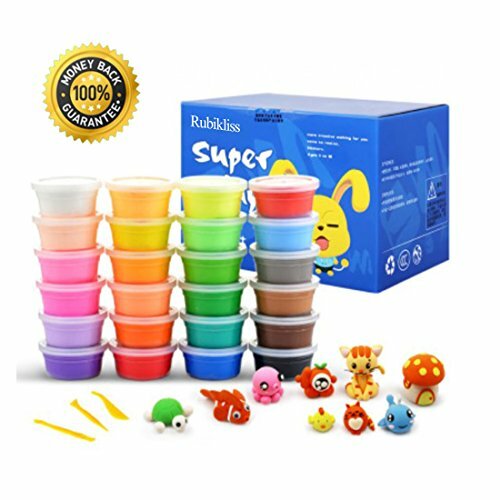 ♣ 24 bright colors air dry clay: can greatly build kids perception to the world, and also to improve your children\'s practical ability, observation ability, creative ability, logical capability and thinking ability. ♣Non-toxic clay modelling: , No fragrance, Strictly conform to CE and SGS, Well-Testing standards to assure its safety and perfect quality. Be assured for children to play with. Great addition to slime kits. Brilliant colours, hours of child entertainment!